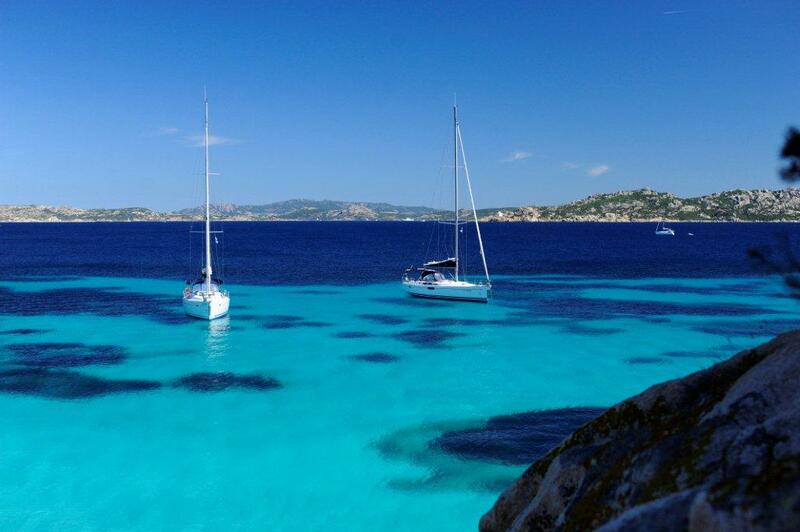 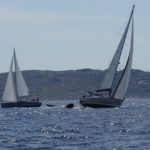 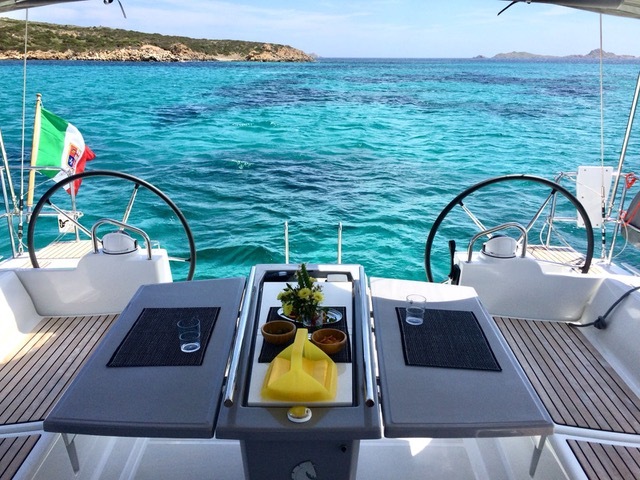 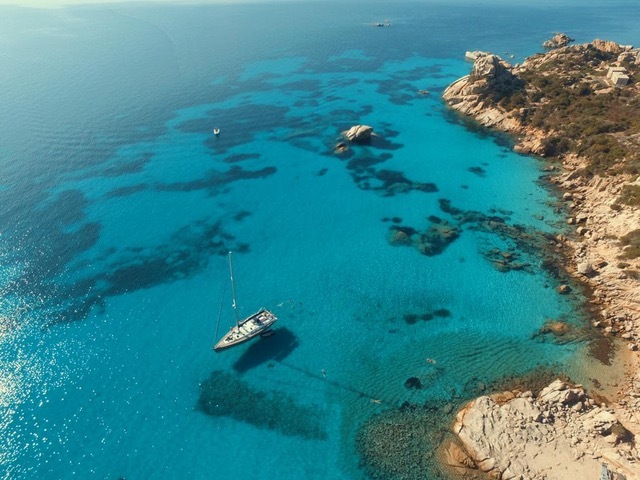 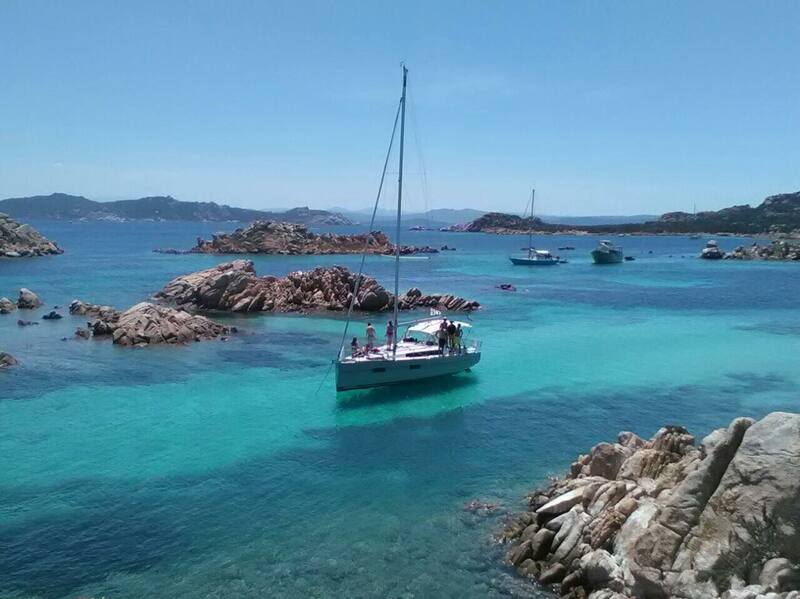 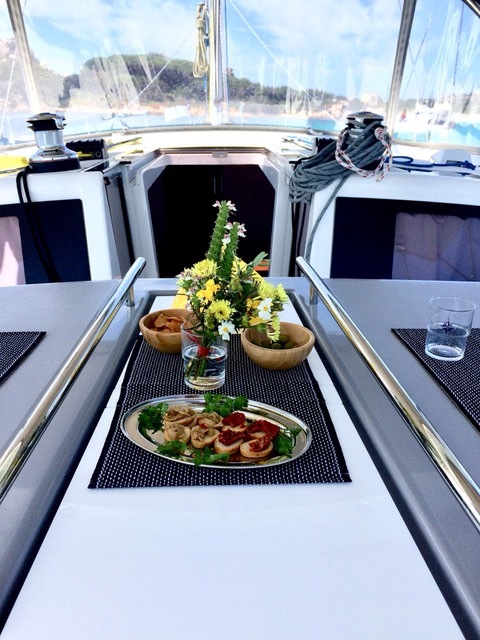 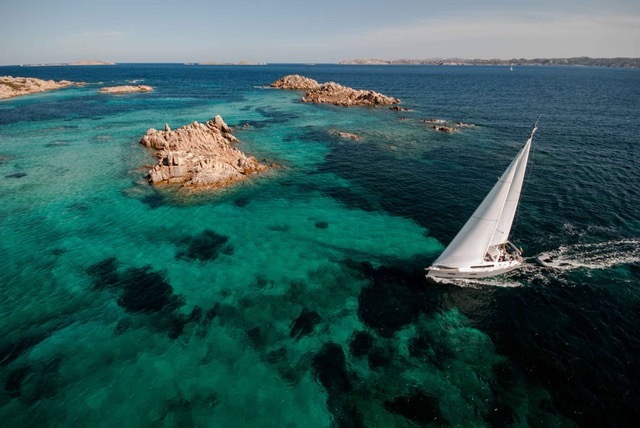 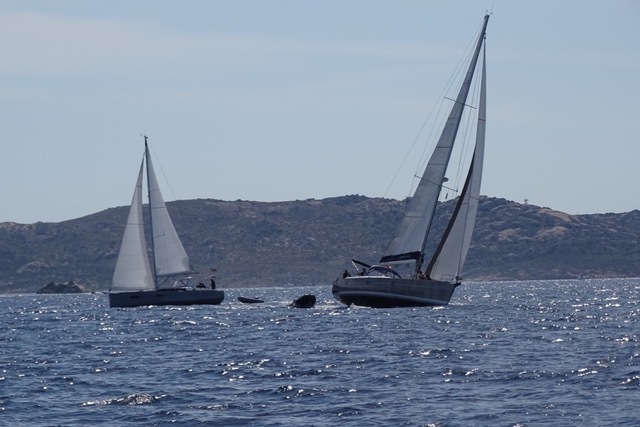 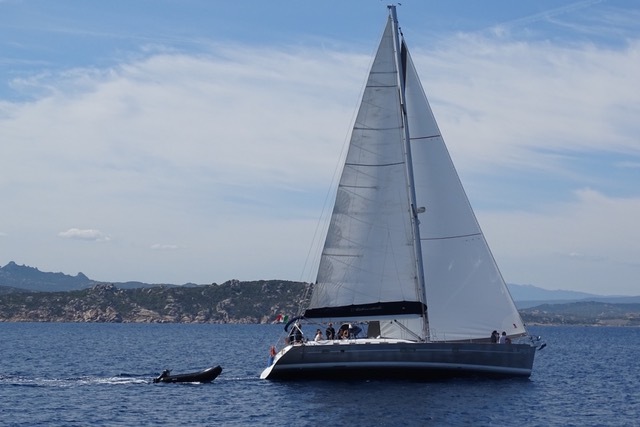 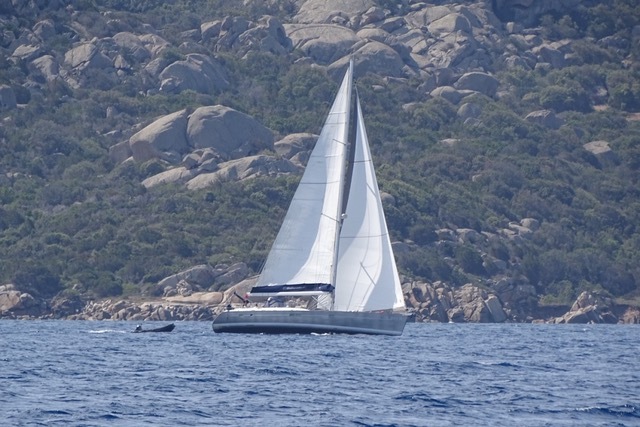 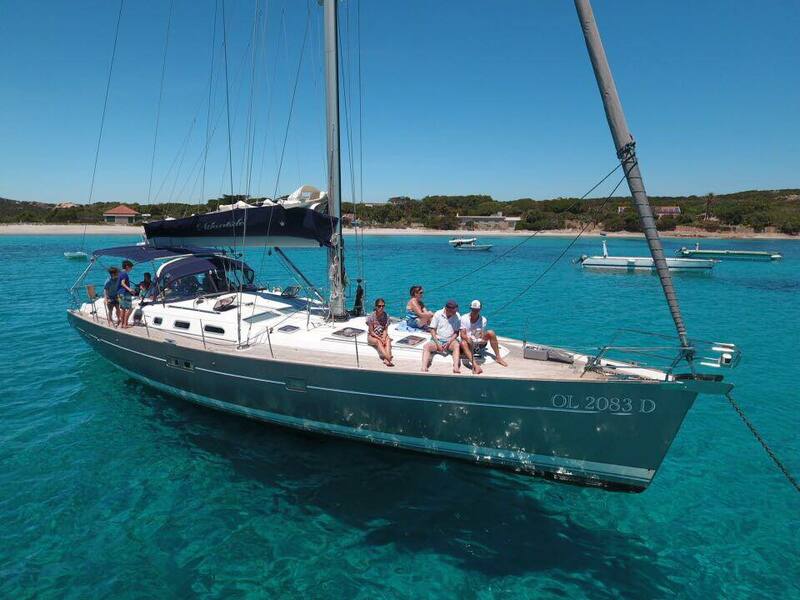 The Oceanis is a safe and effective sailboat. 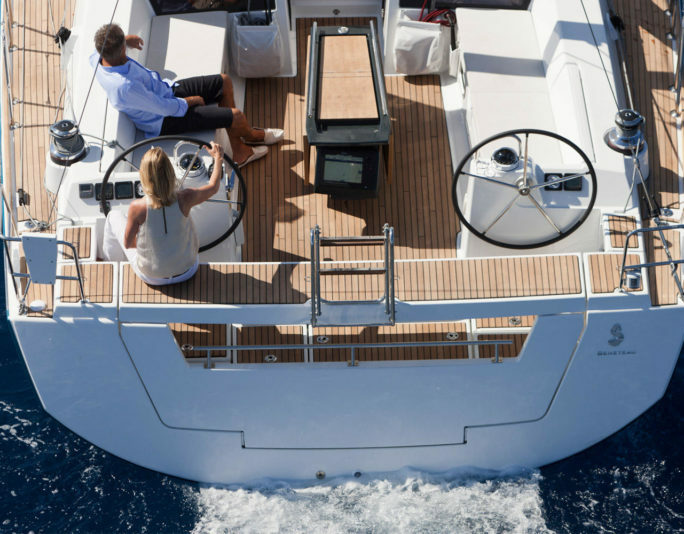 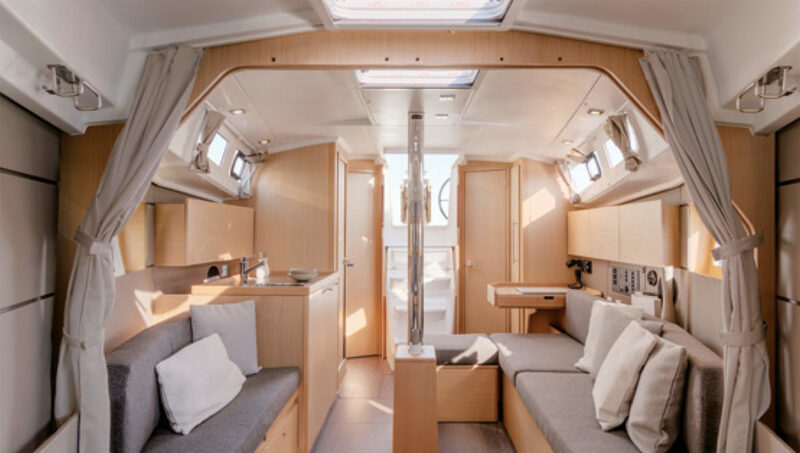 More and more stable hulls, even more free deck surfaces, comfortable and functional interiors: the dream is elegantly defined. 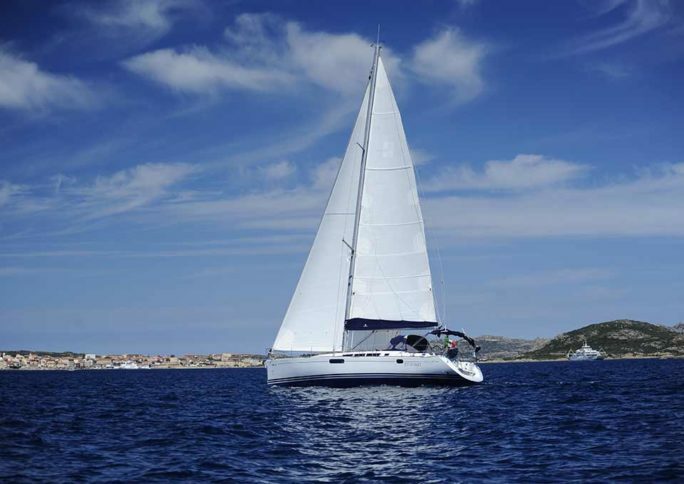 Sailboat of 17 meters (carries a maximum of 14 people) designed for demanding people. 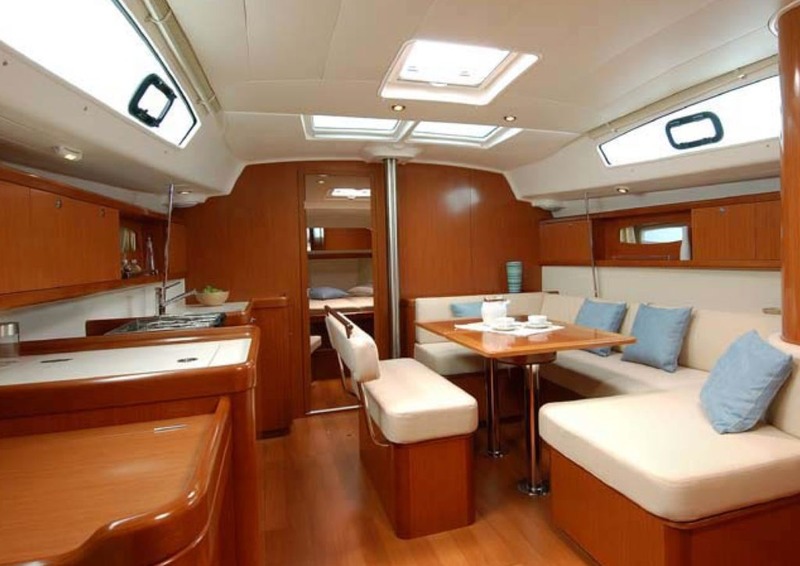 Fun, luxury, comfort and safety will be assured. 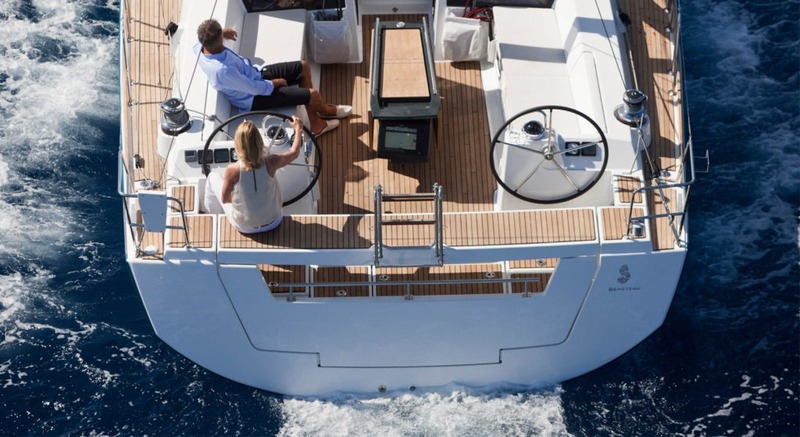 Deck equipment has been designed to allow accessibility. 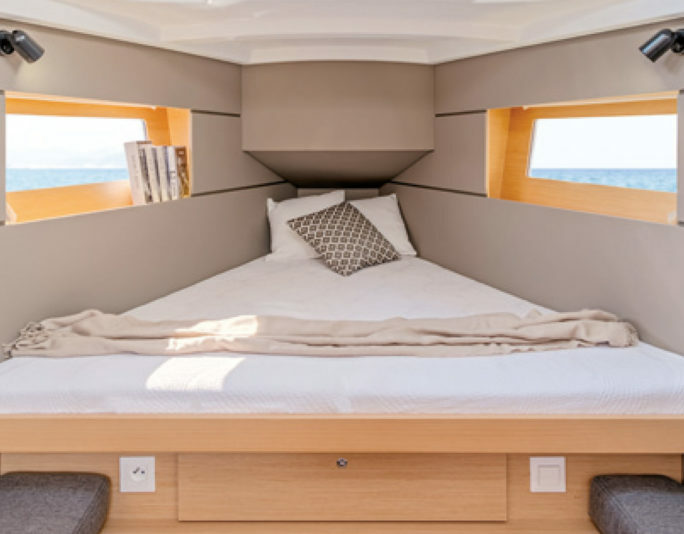 Cabins with private bathrooms, finely furnished square, extraordinary brightness, refined materials: nothing has been left to chance in the interior furnishings to make each excursion truly exceptional. 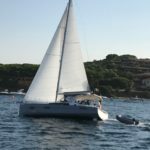 New sailboat of 13 meters. 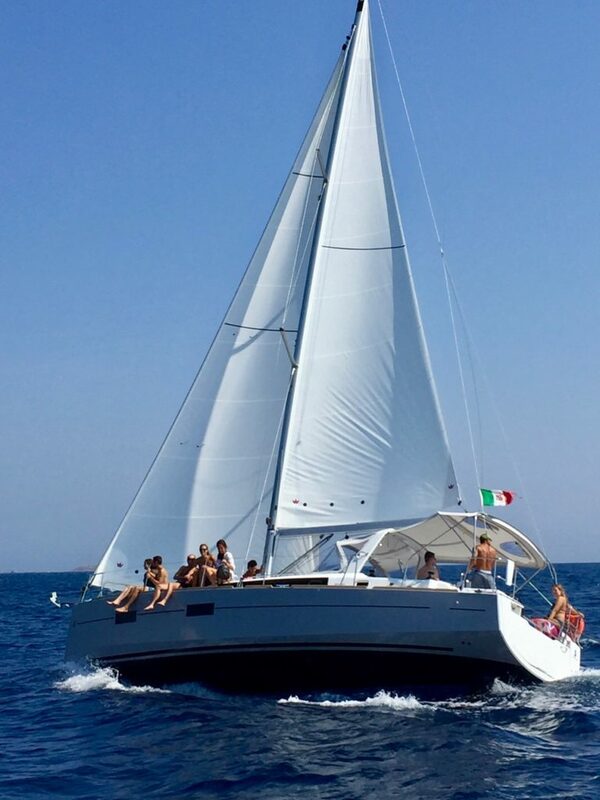 (max 12 people) Well balanced with its mainsail rollbar and its tree placed in the middle, the hull stable and comfortable at any pace. 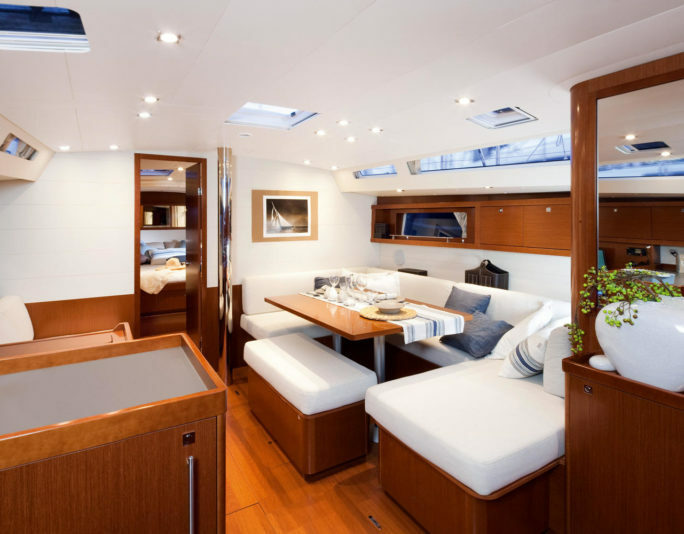 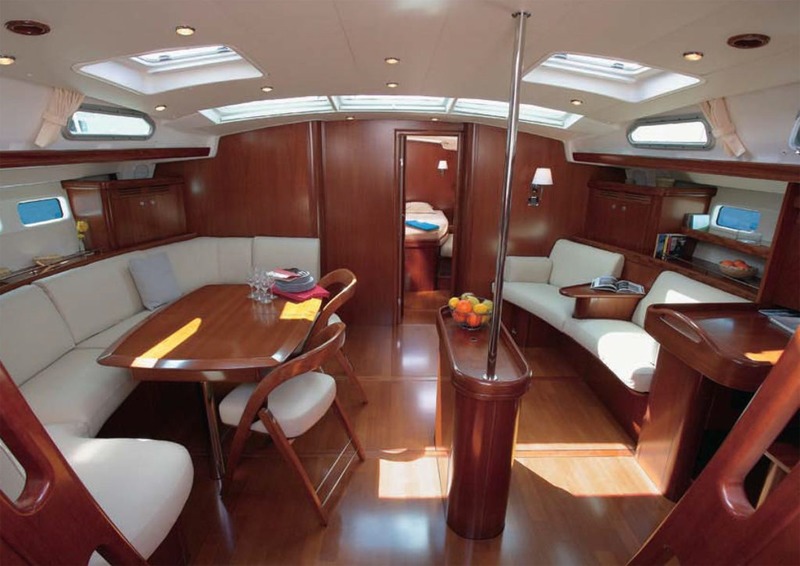 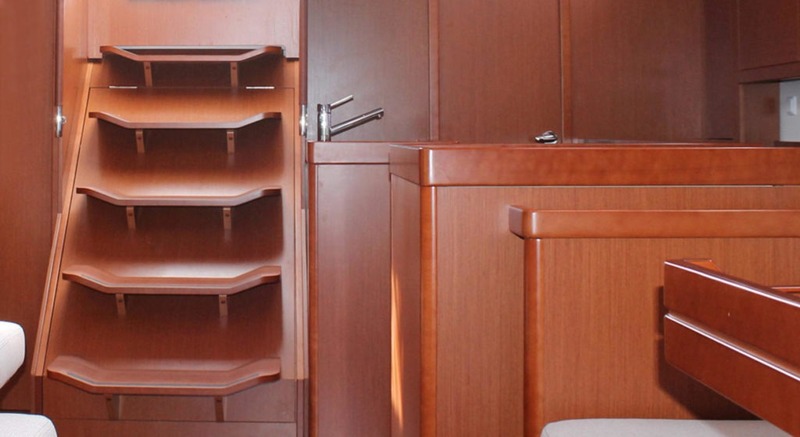 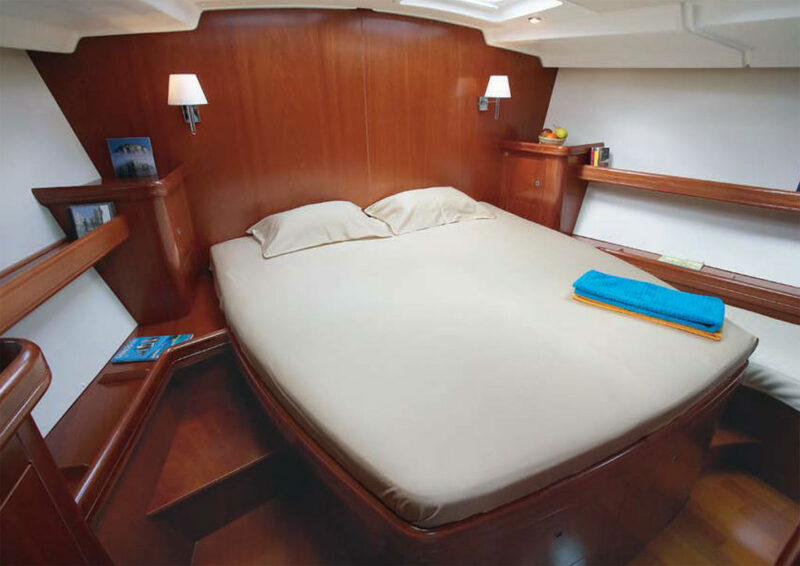 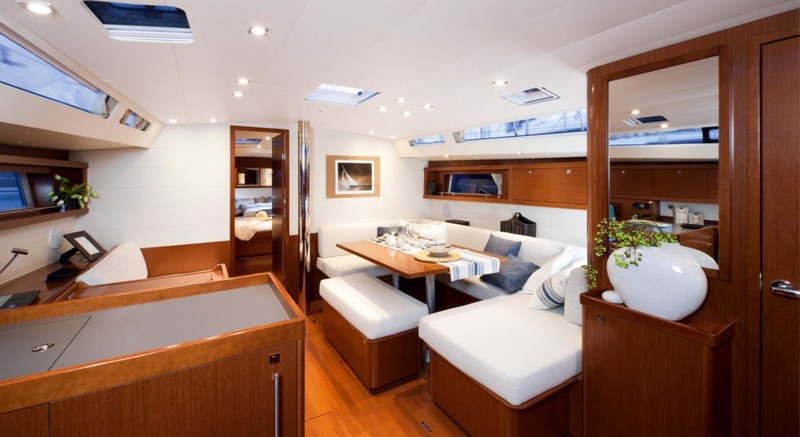 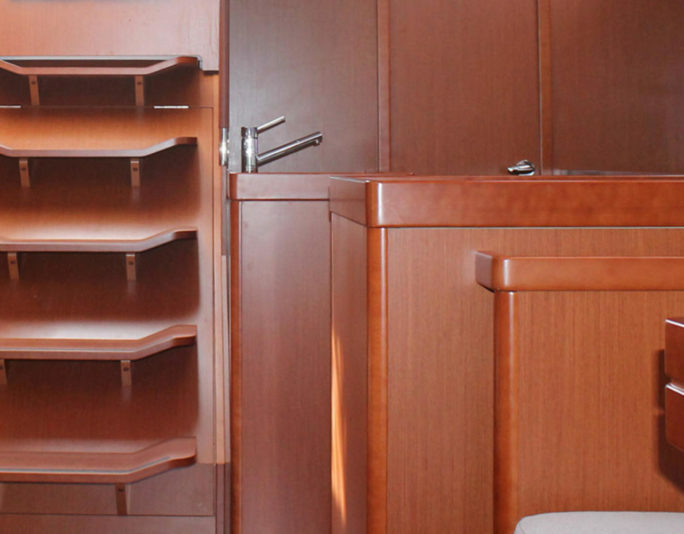 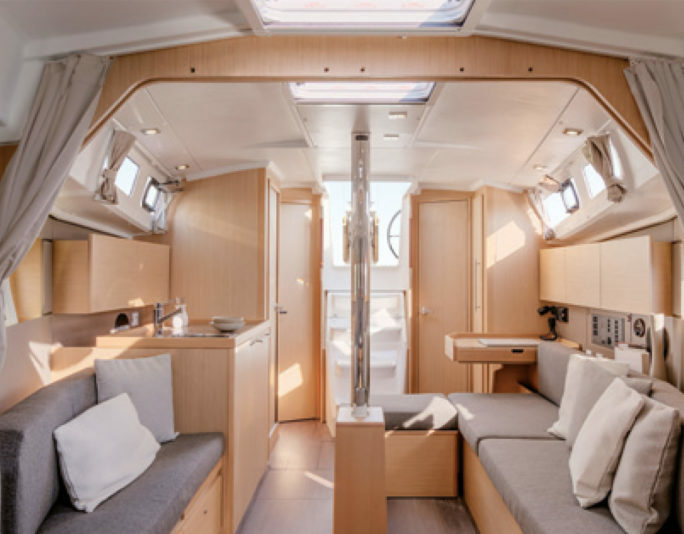 This boat takes an important step in the combination of speed, safety and ease of life on board. 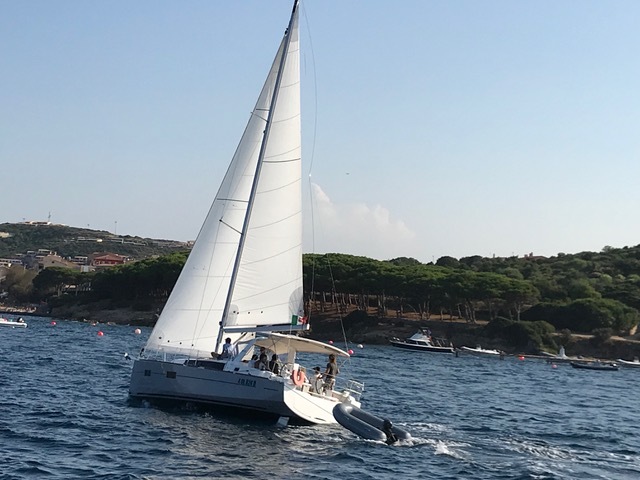 Sailboat of 13 meters (maximum of 10 people). 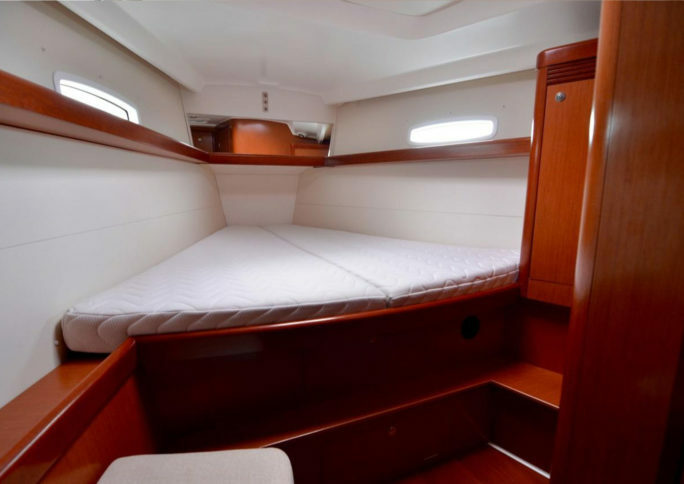 Wide and comfortable, ideal for day trips in this corner of paradise. 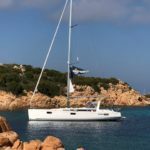 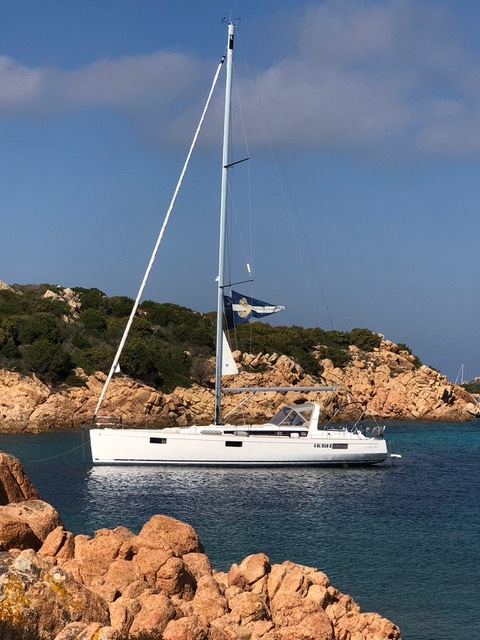 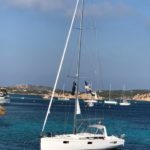 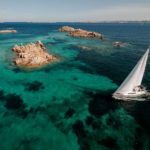 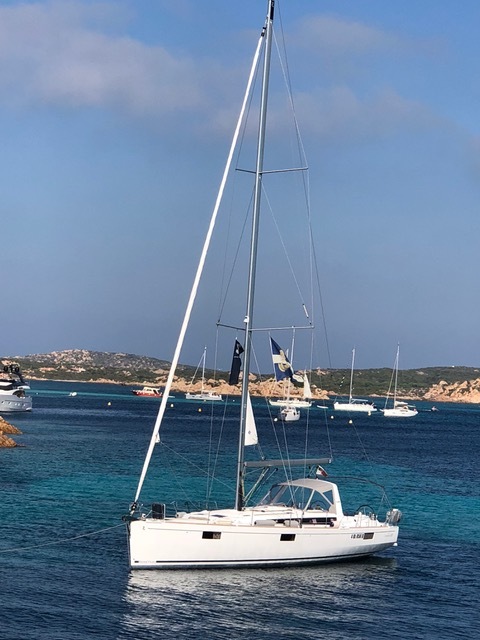 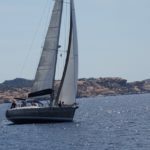 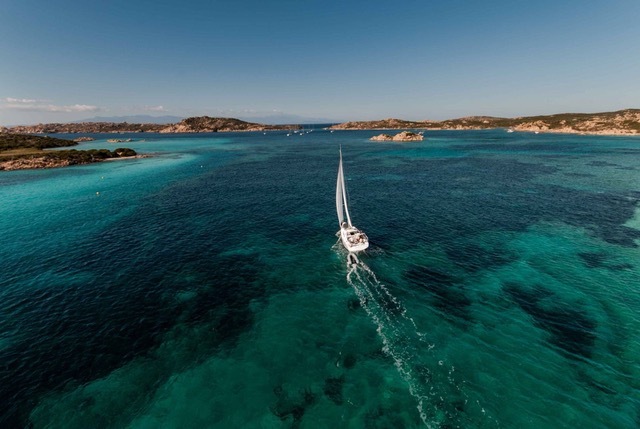 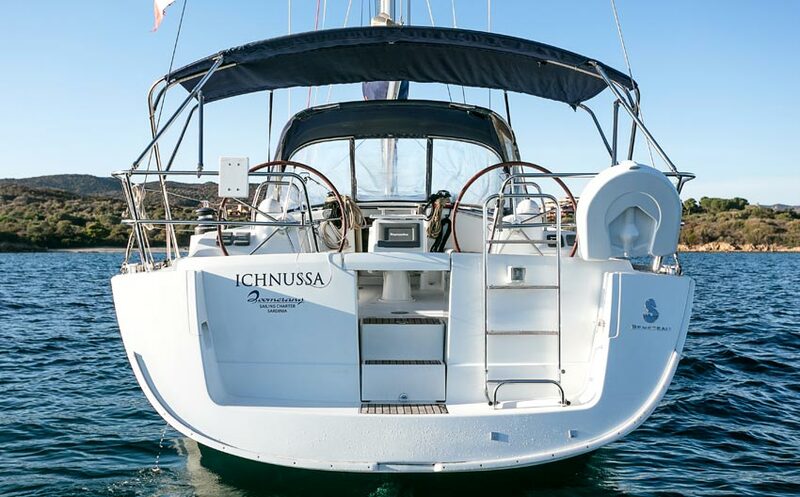 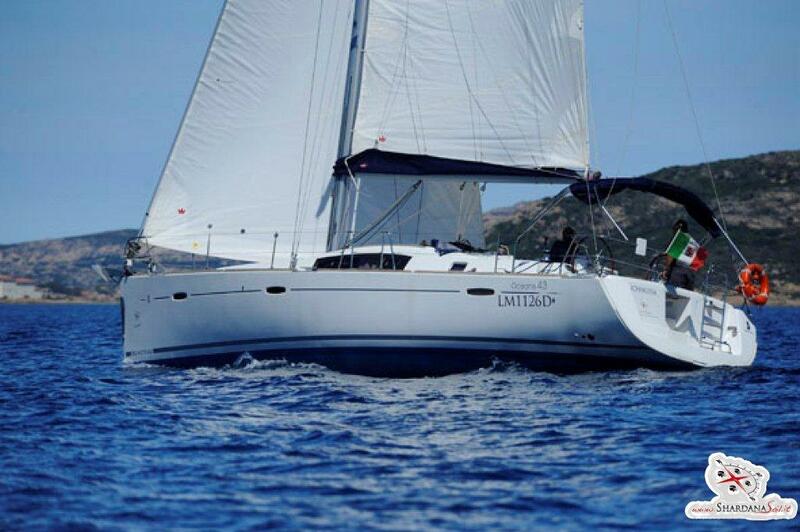 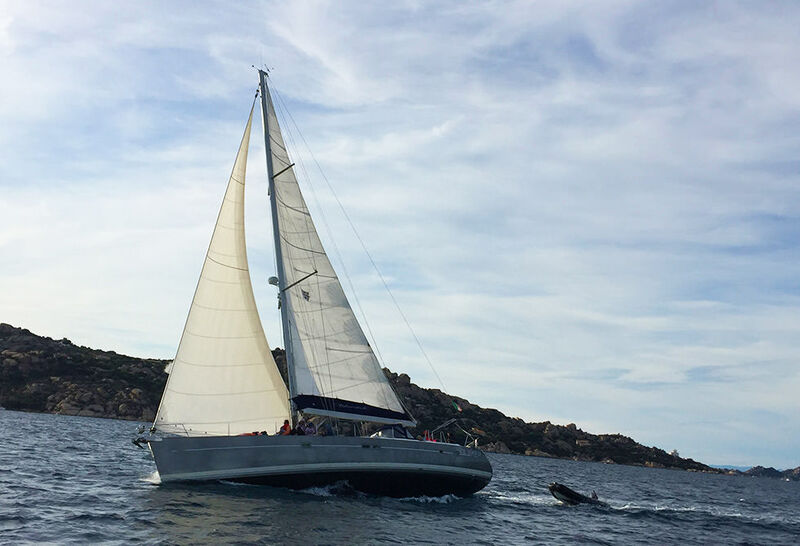 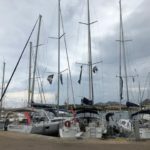 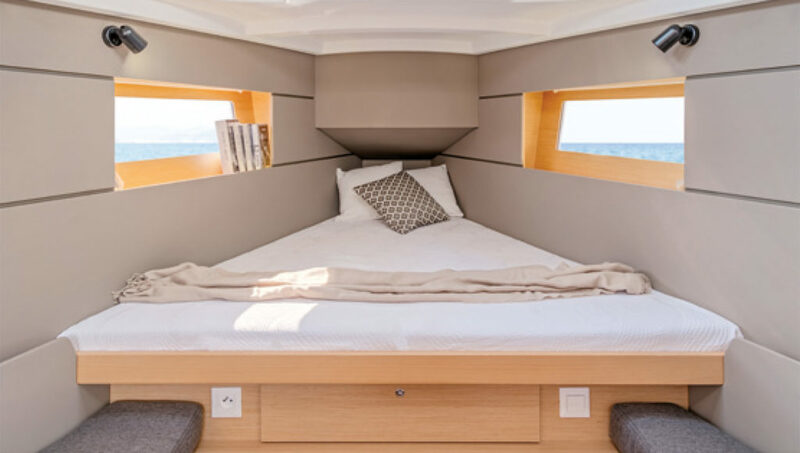 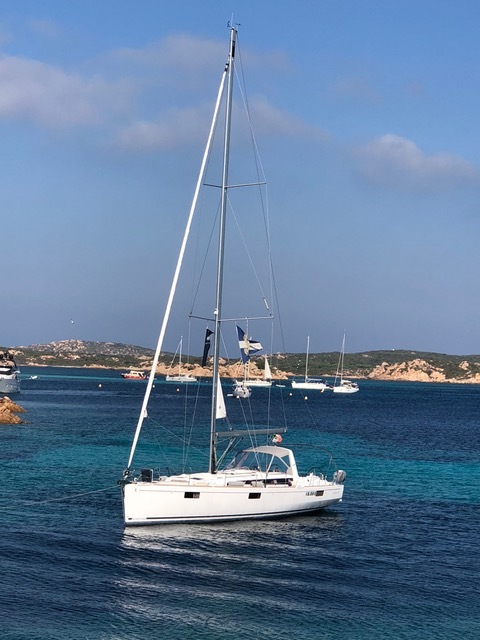 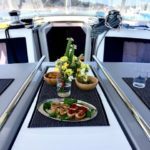 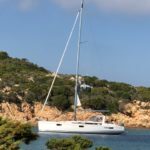 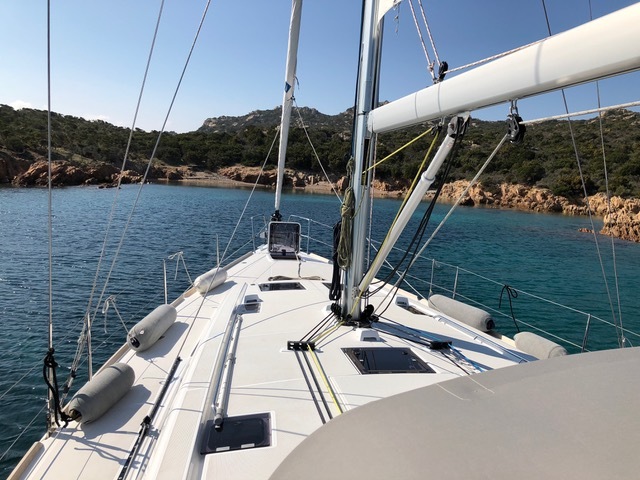 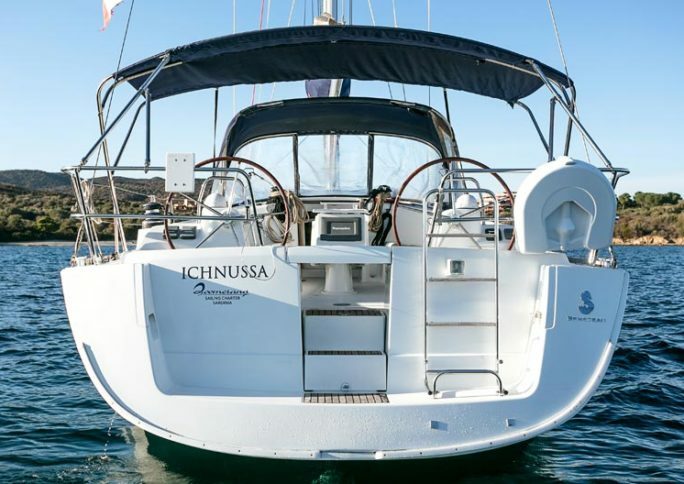 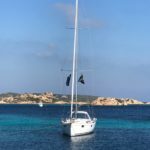 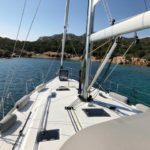 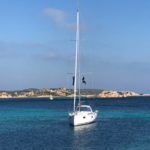 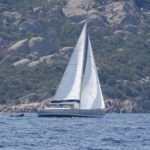 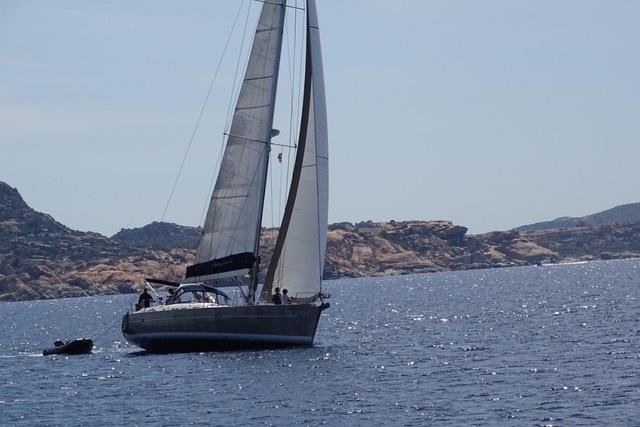 This boat is a great compromise in all its aspects: comfortable but also capable of brilliant performance to make you experience the thrill of sailing with the wind. 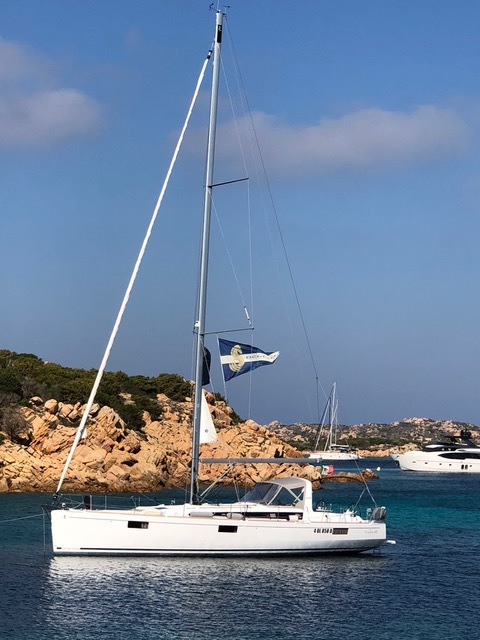 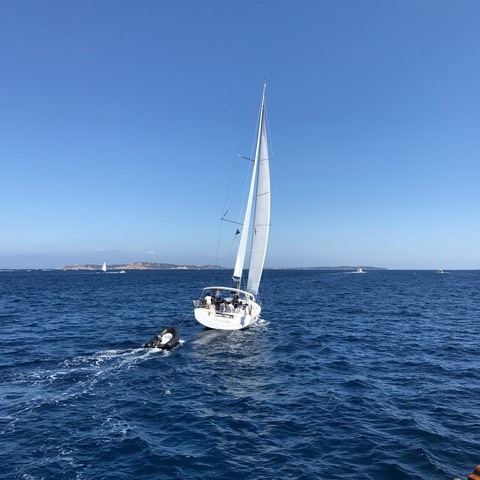 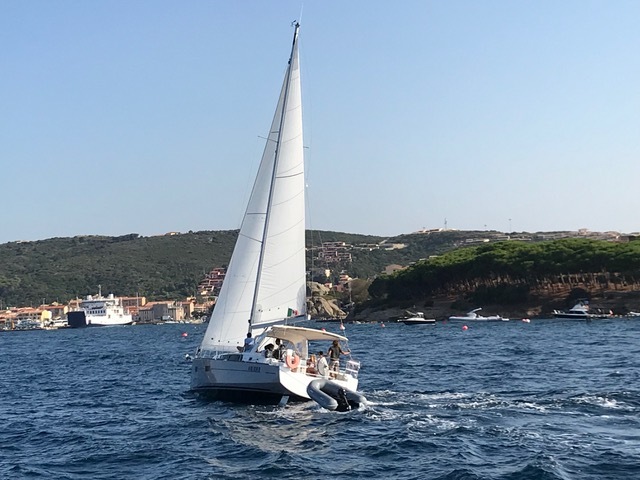 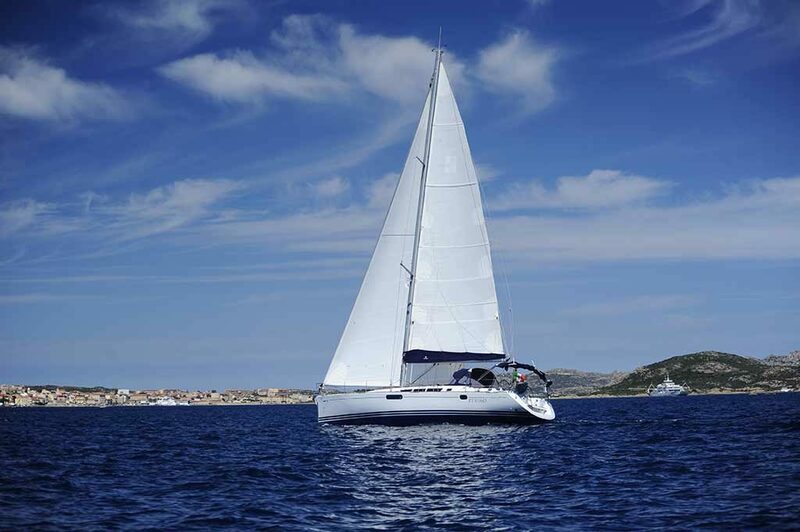 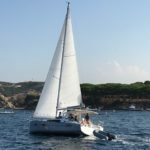 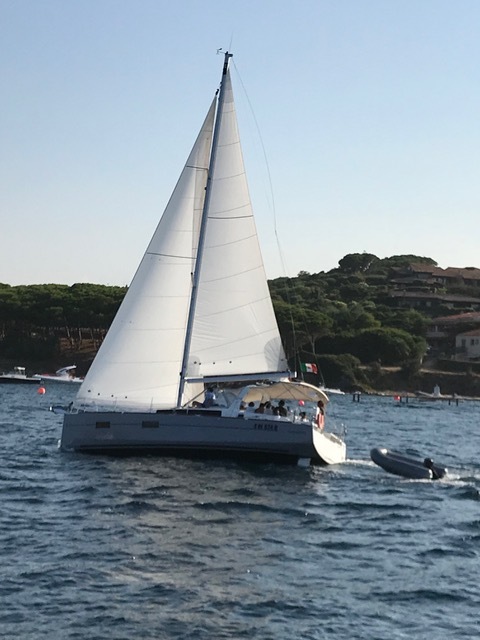 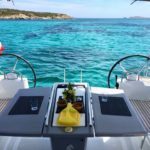 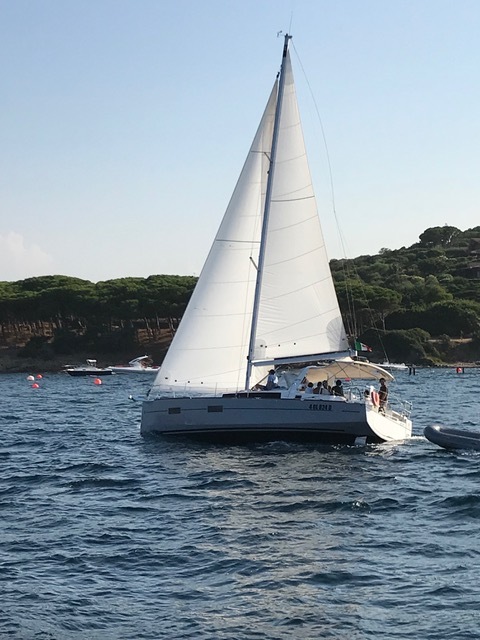 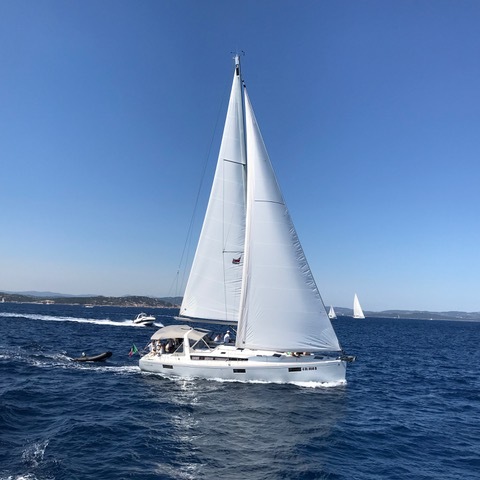 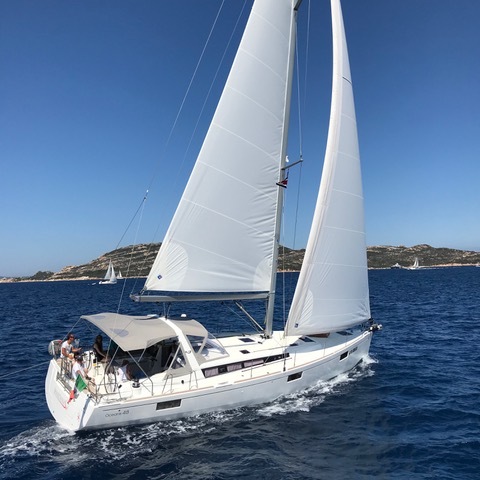 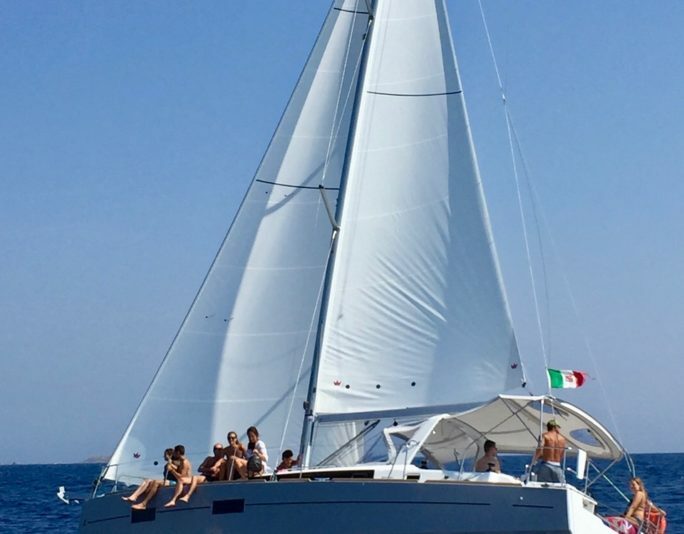 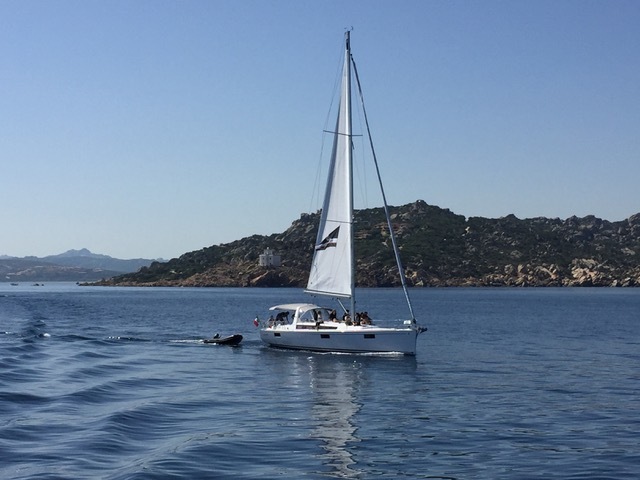 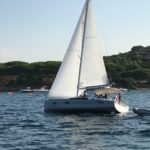 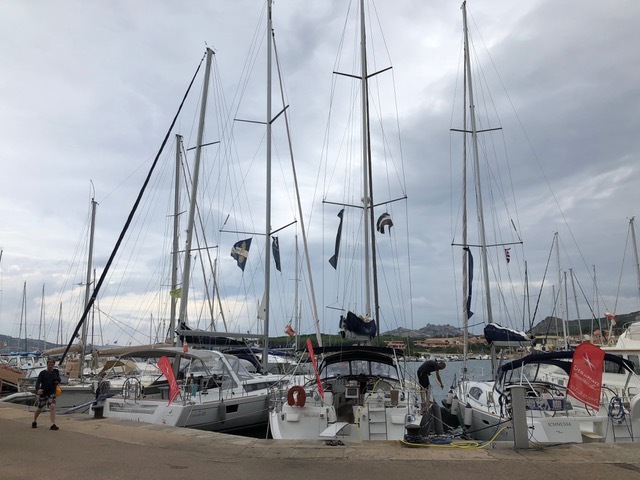 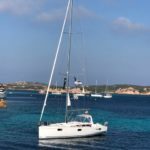 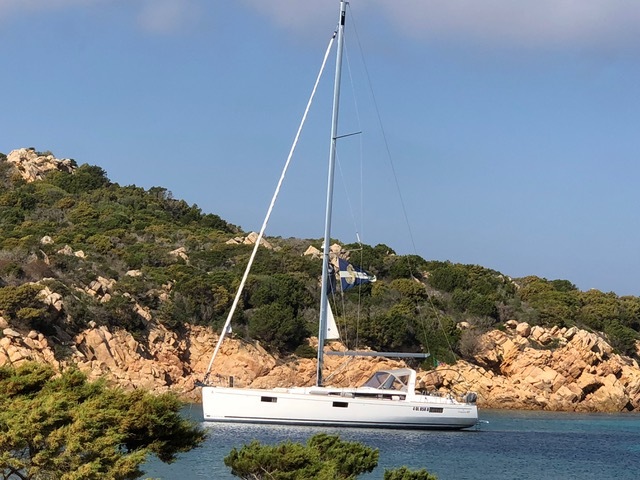 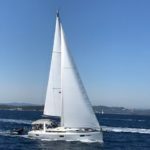 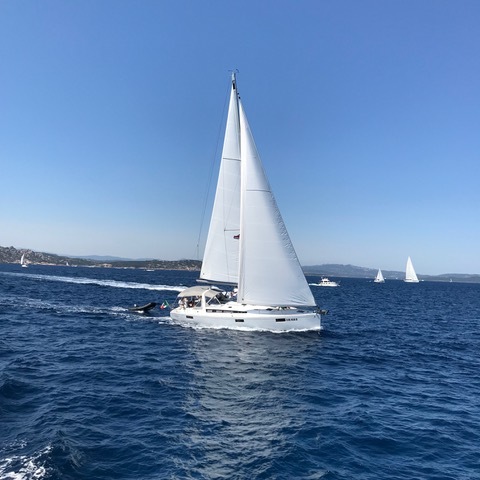 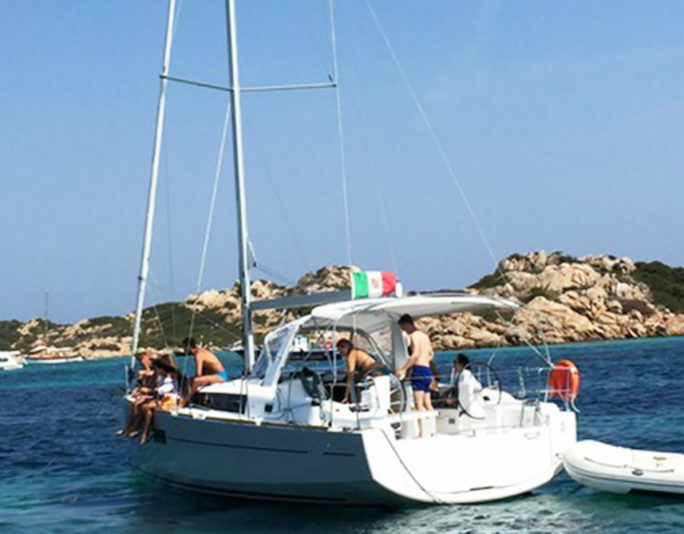 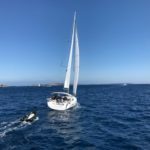 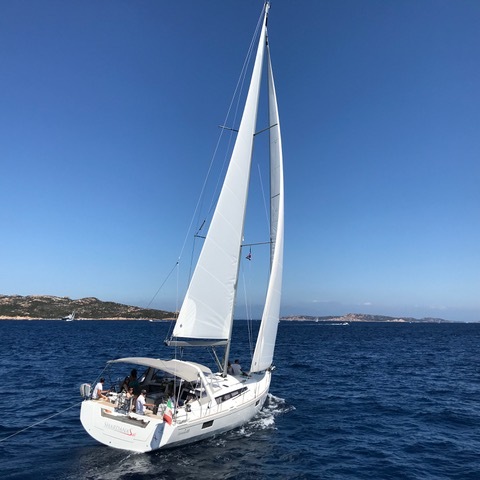 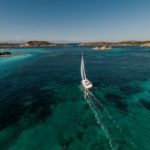 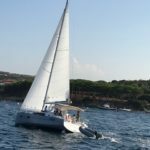 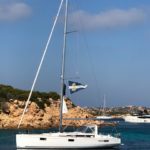 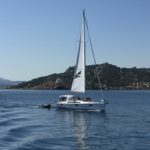 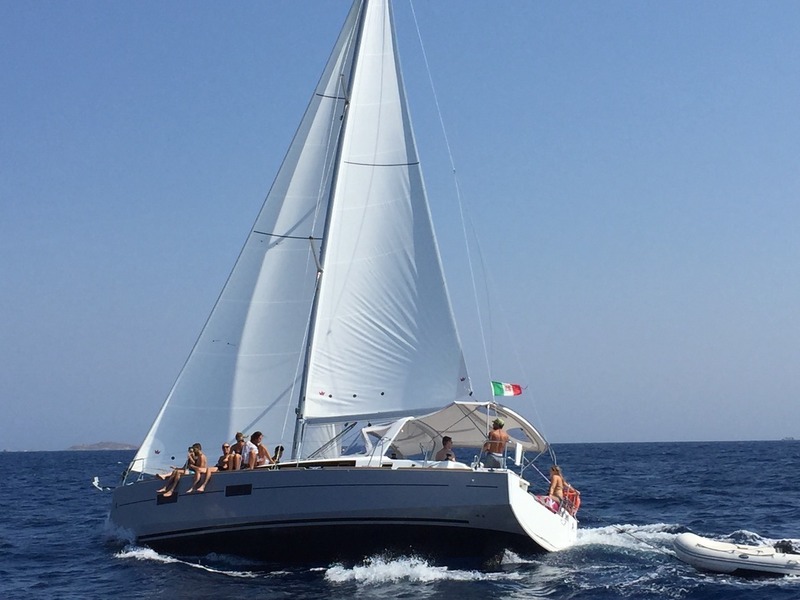 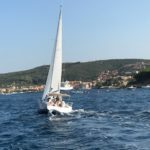 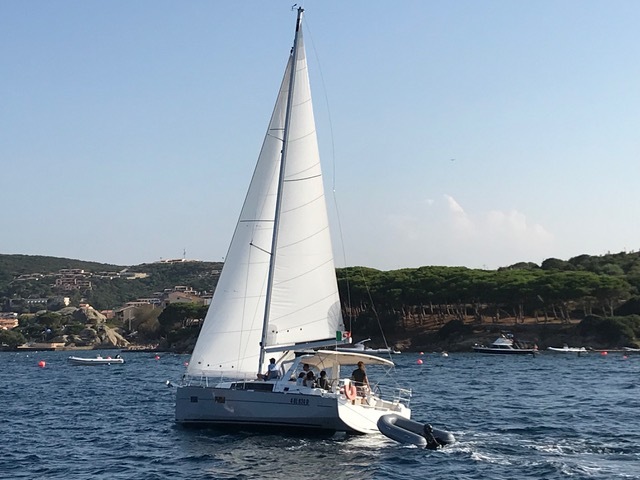 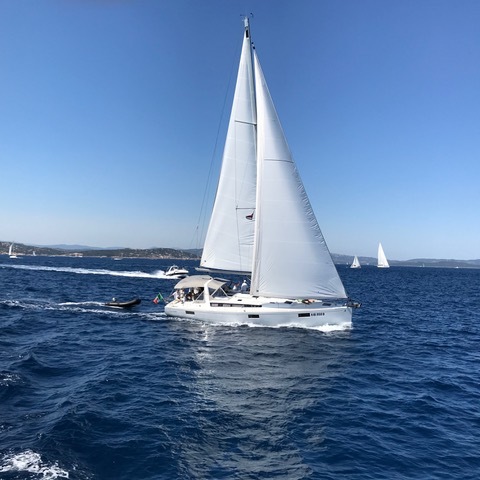 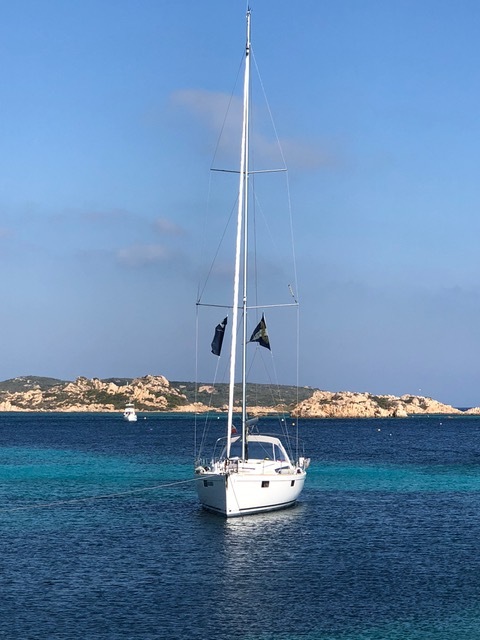 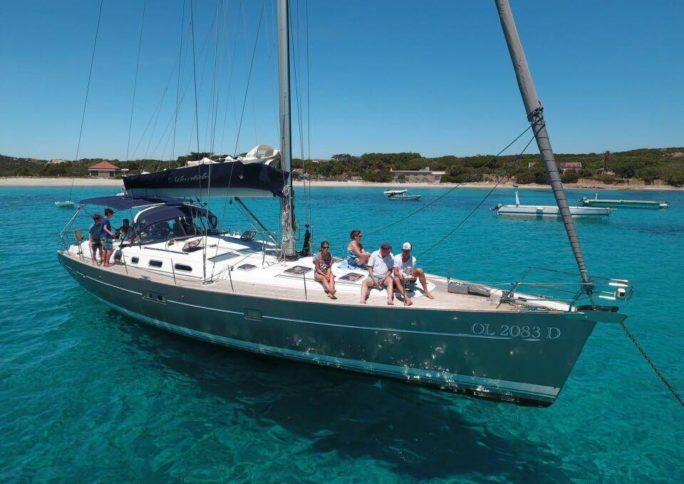 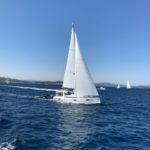 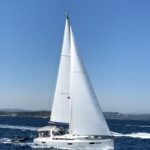 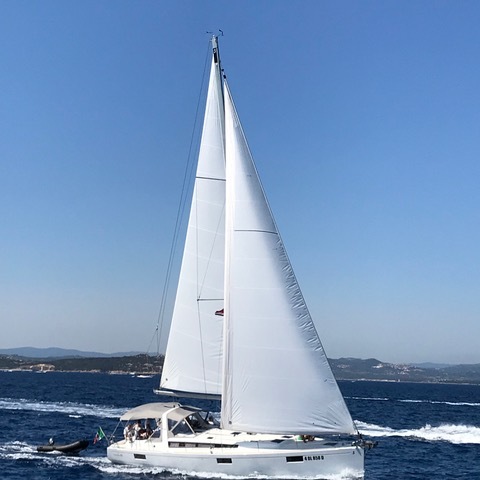 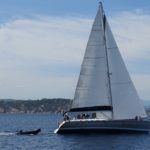 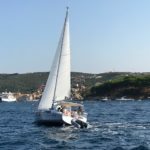 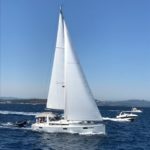 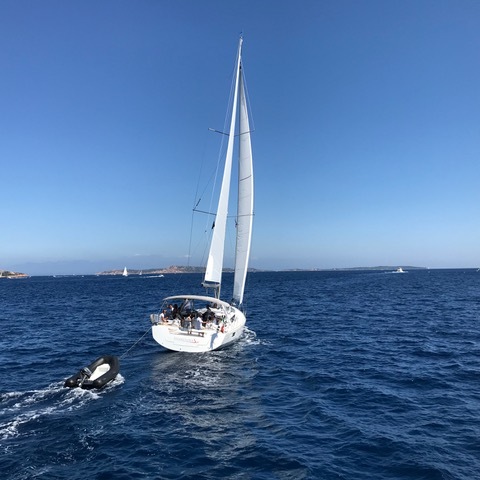 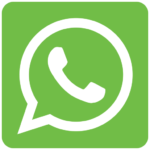 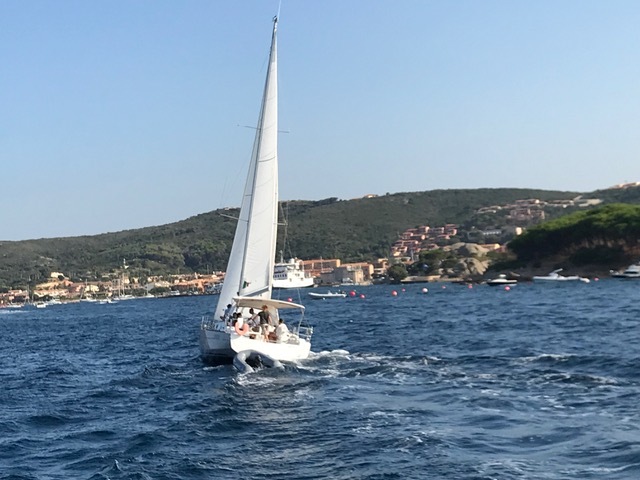 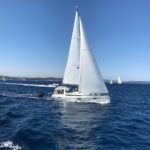 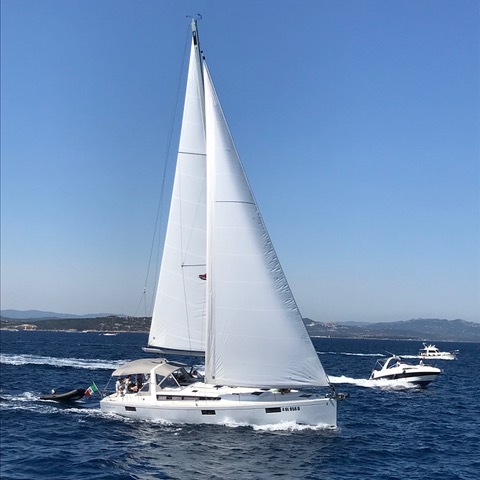 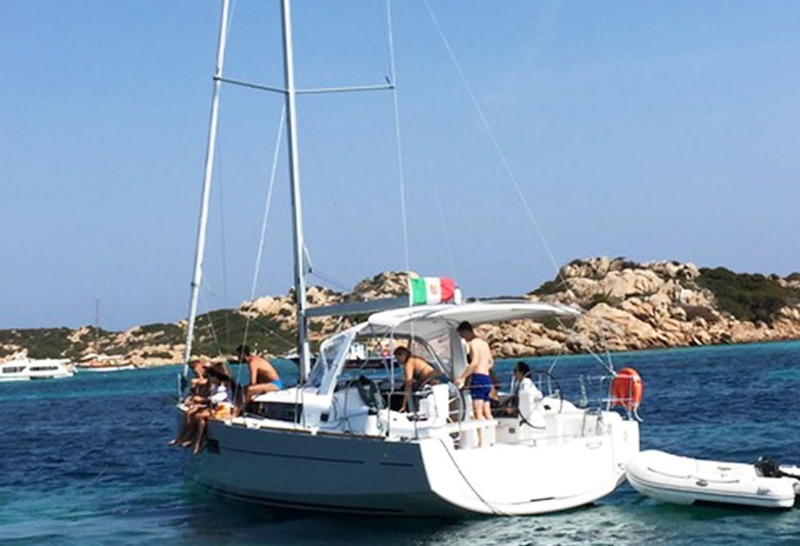 Sailboat of 11 meters (brings a maximum of 10 people) of new generation designed to meet your navigation needs, convenient for those who want to have fun sailing. 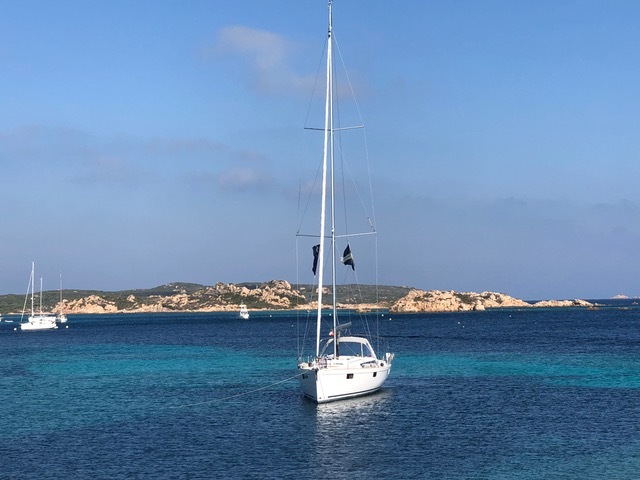 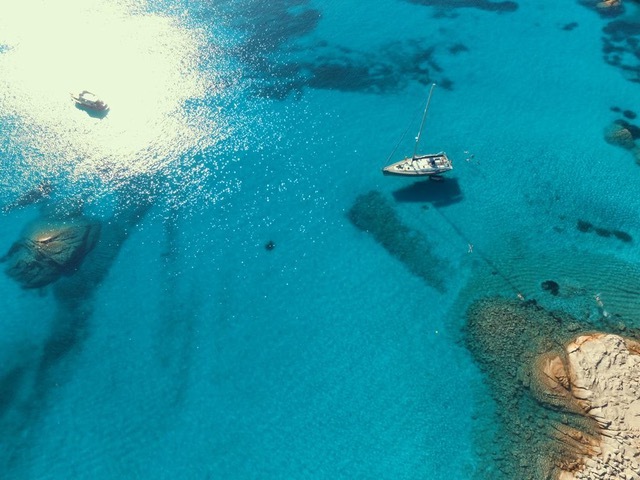 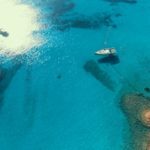 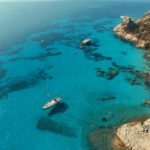 The boat has a very low drift that allows it to get very close to the coast, where the water is clearer and few boats can arrive.